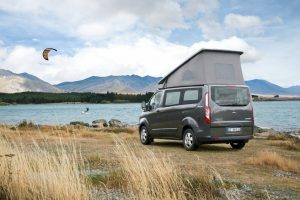 The Ford Nugget is based on the Transit Custom Kombi which is built to reach the highest demands. 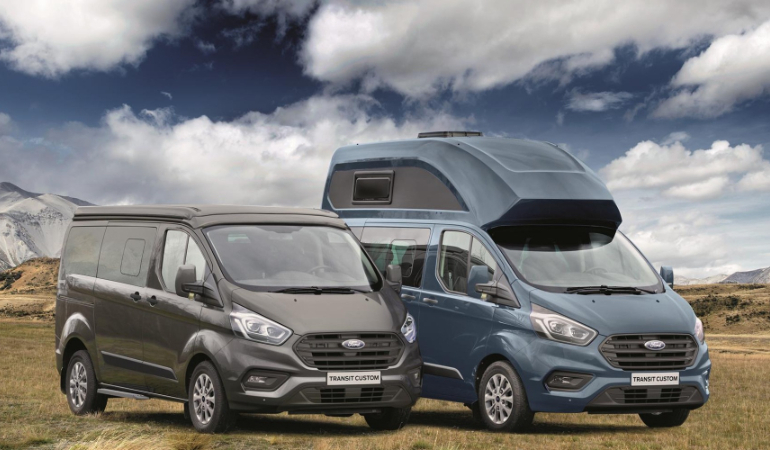 The attractive wide-body van was chosen by the professional world as the “International Van of the Year” and, in addition to the Ford Tourneo Custom, achieved the top score of 5 stars at the Euro NCAP crash test. 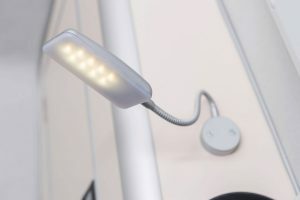 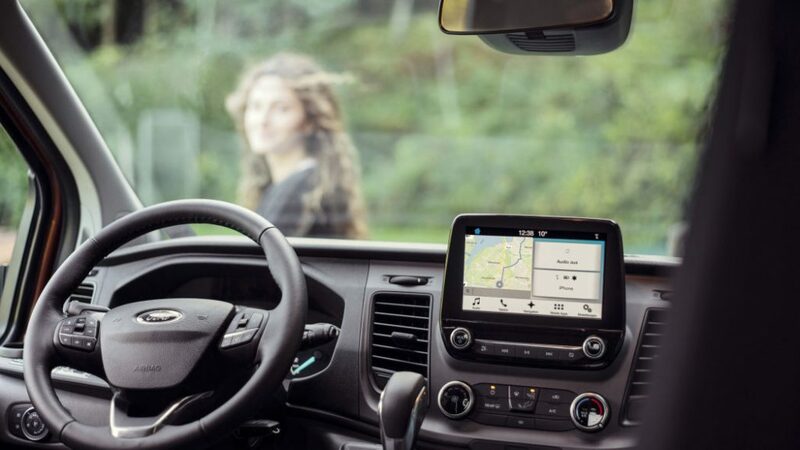 In addition, the Ford Transit Custom offers innovative technologies for exceptional driving comfort. 2.0 liter TDCi diesel engine (Euro 6d-TEMP), 77 kW (105 hp): Fuel consumption [according to Regulation (EC) No 715/2007 and Regulation (EC) 692/2008]: 6.0 l / 100 km. CO2 emissions: 165 g / km. 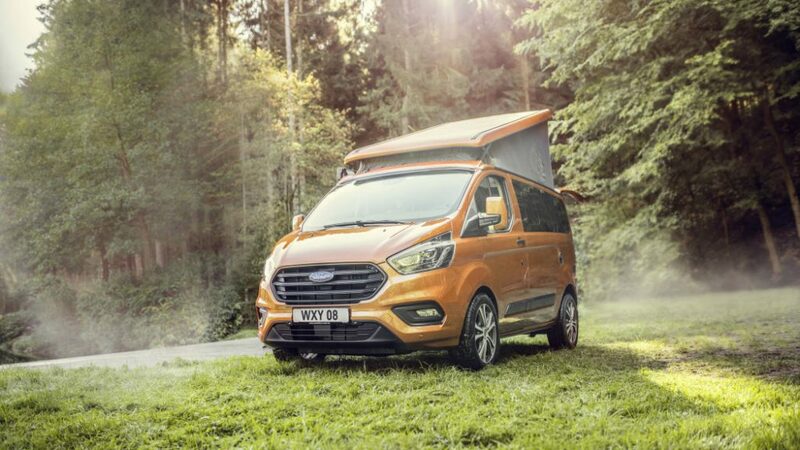 2.0 l TDCi diesel engine (Euro 6d-TEMP), 96 kW (130 hp): Fuel consumption [according to Regulation (EC) No 715/2007 and Regulation (EC) 692/2008]: 6.0 l / 100 km. 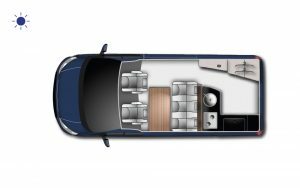 CO2 emissions: 165 g / km. 2.0-liter TDCi diesel engine (Euro 6d-TEMP), SelectShift automatic transmission *, 96 kW (130 hp) or 125 kW (170 hp): Fuel consumption [according to Regulation (EC) No 715/2007 and Regulation 692 / 2008]: 6.8 l / 100 km. 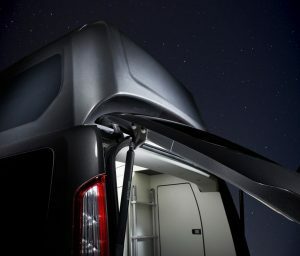 CO2 emissions: 178 g / km. 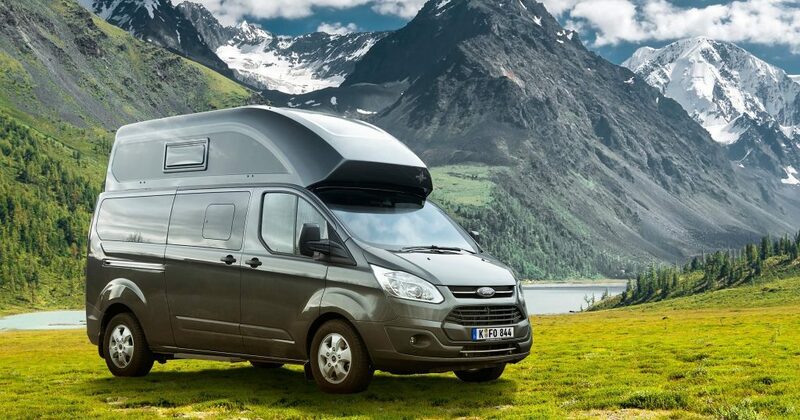 2.0 l TDCi diesel engine (Euro 6d-TEMP), 125 kW (170 hp): Fuel consumption [according to Regulation (EC) No 715/2007 and Regulation (EC) 692/2008]: 6.2 l / 100 km. 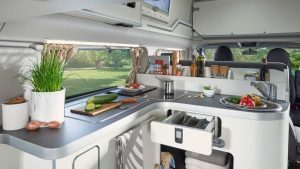 CO2 emissions: 165 g / km. 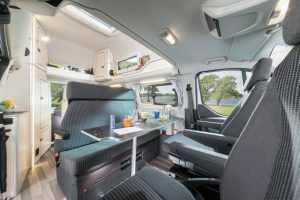 The “nugget” -construction of Westfalia Mobil GmbH makes the Ford Transit Custom Kombi a high-quality, comfortable full equipted travel vehicle. 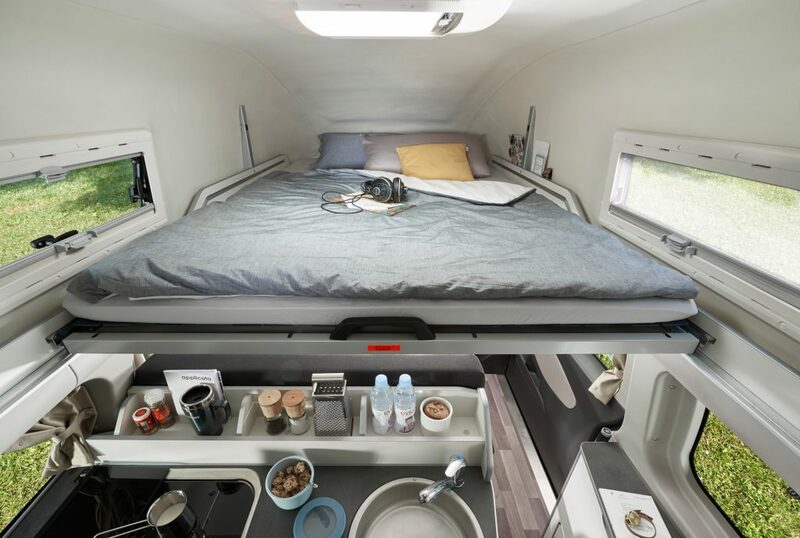 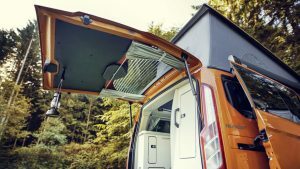 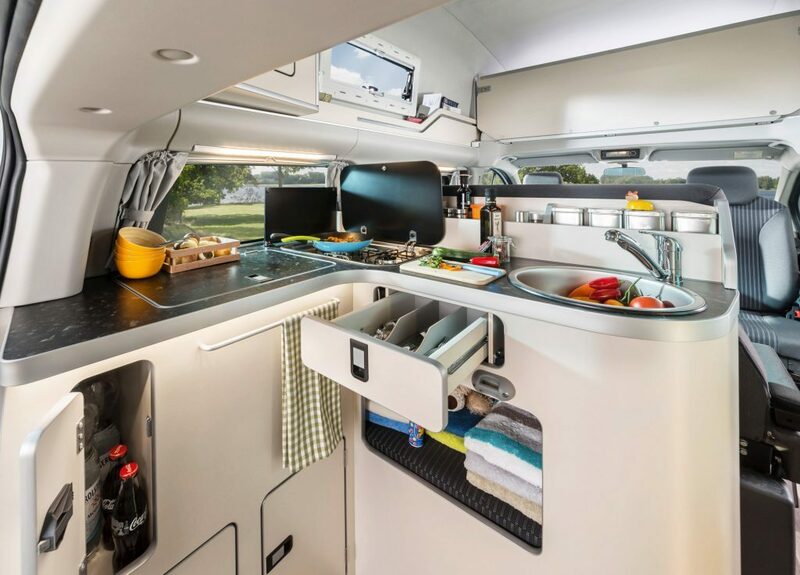 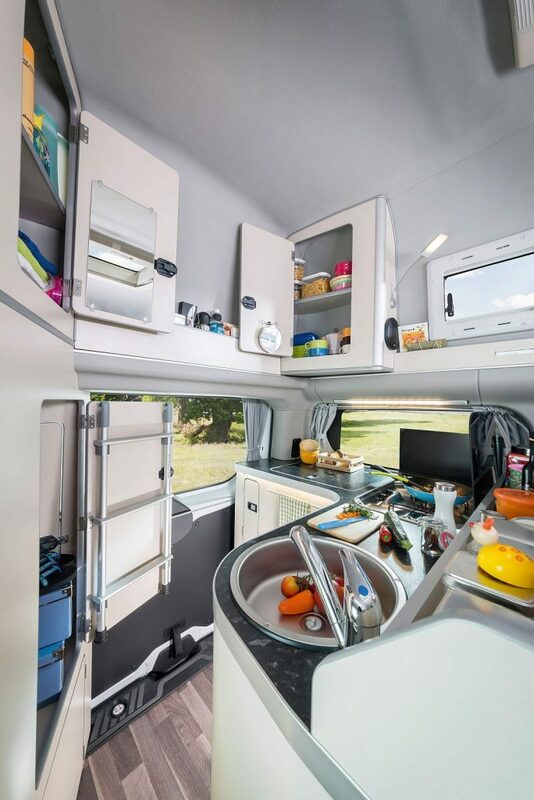 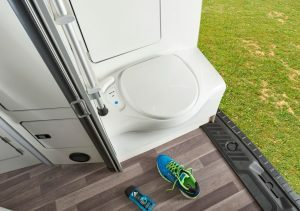 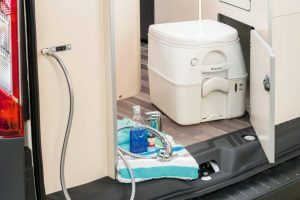 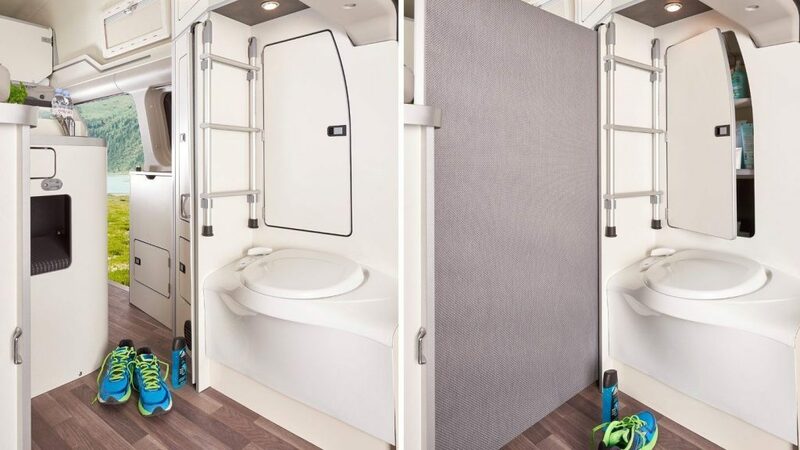 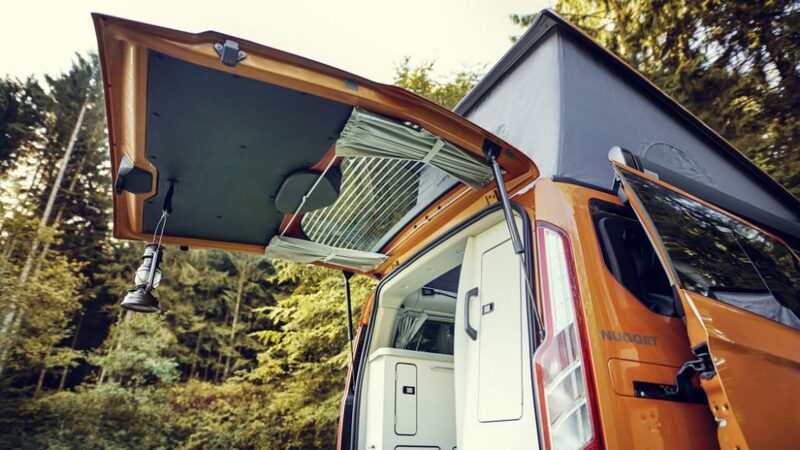 A lot of functionalities are included and the innovative design makes this camper a true bestseller. 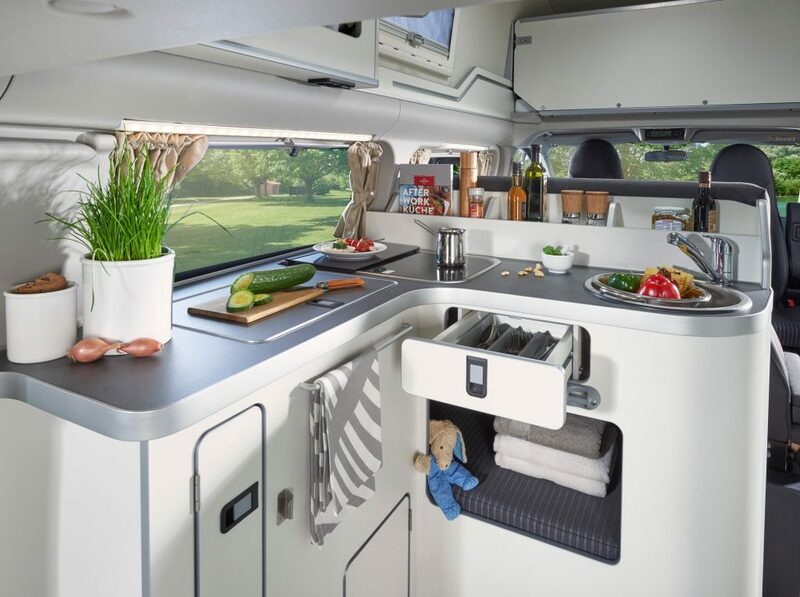 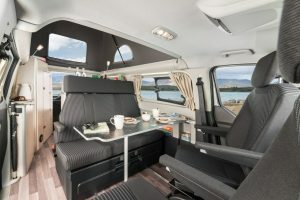 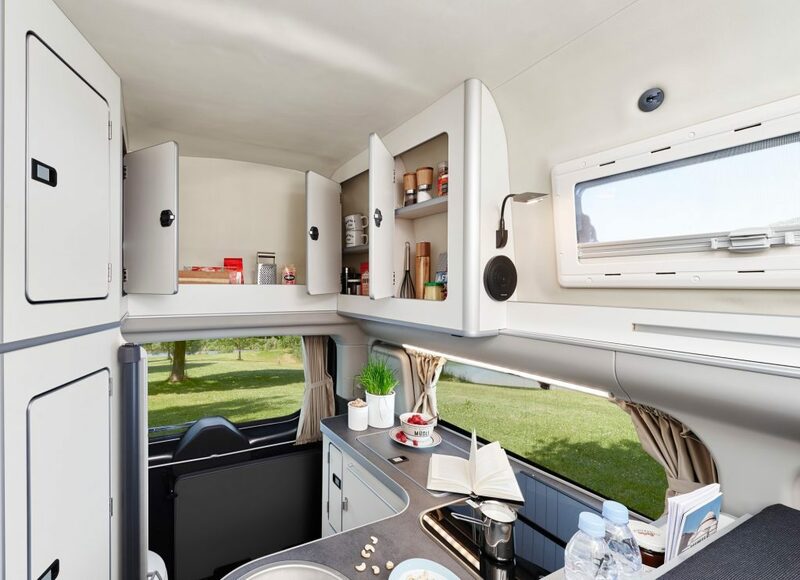 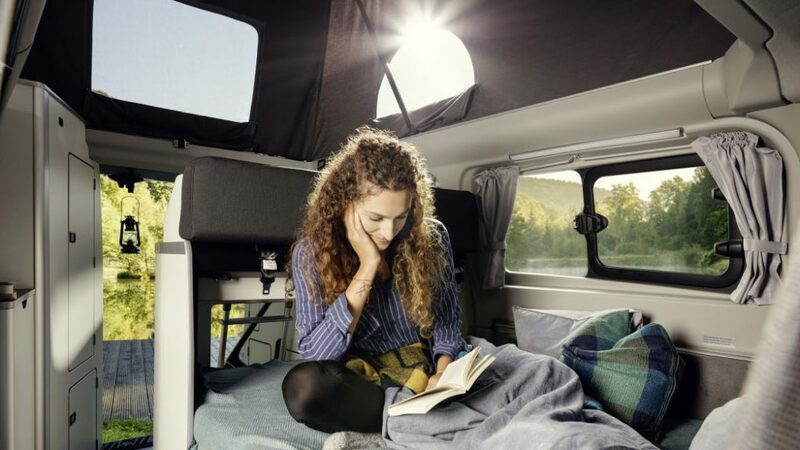 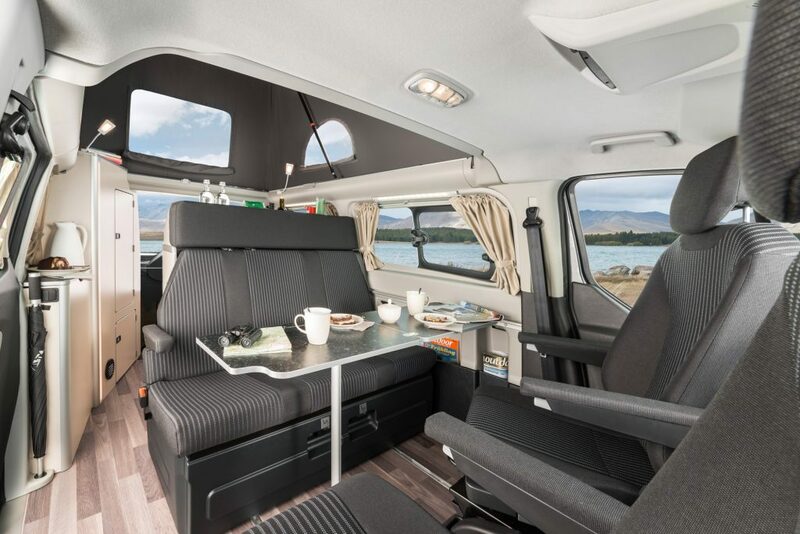 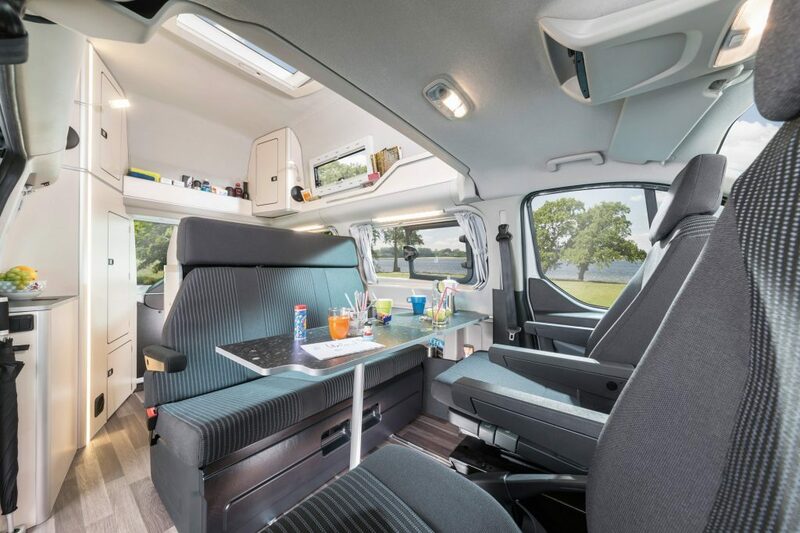 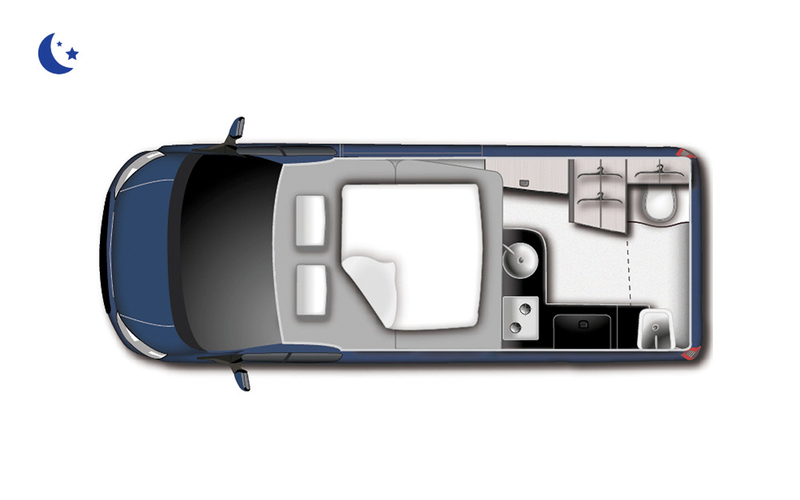 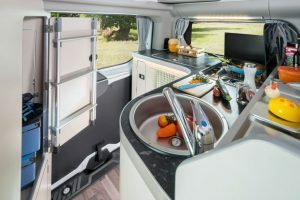 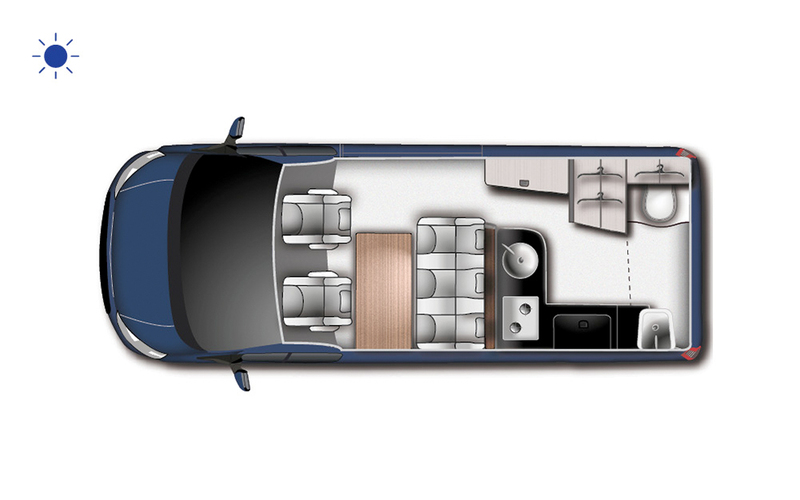 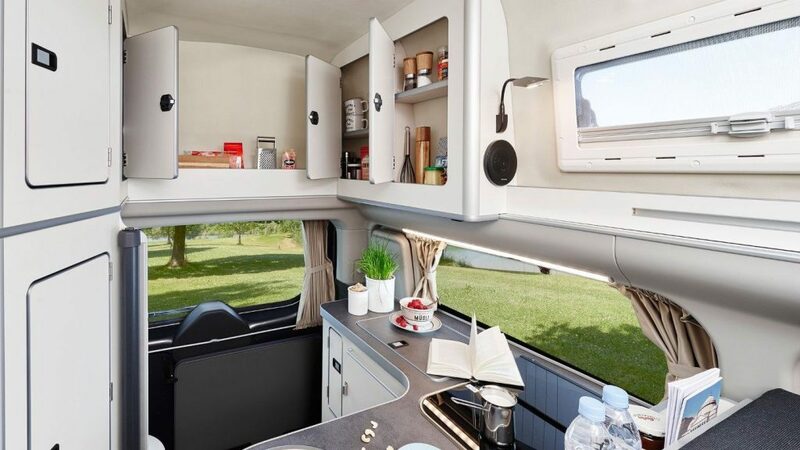 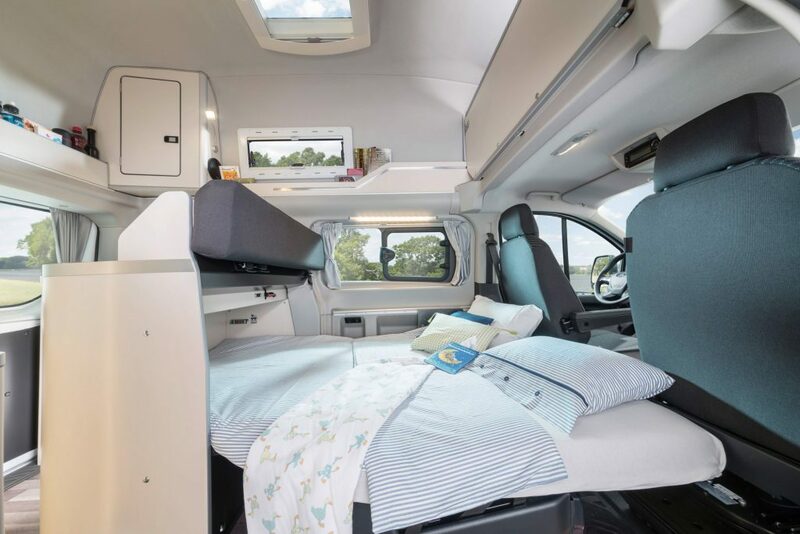 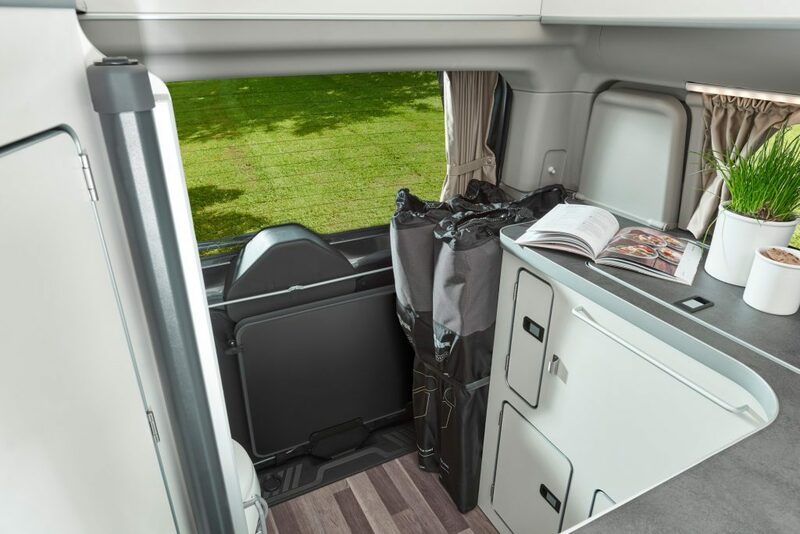 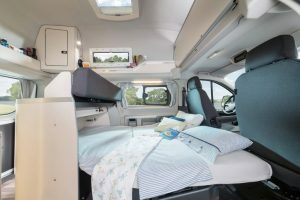 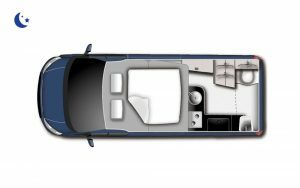 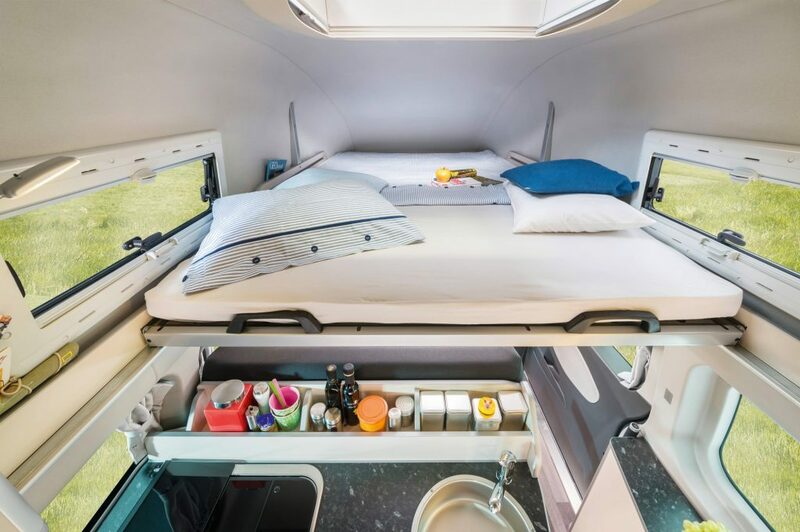 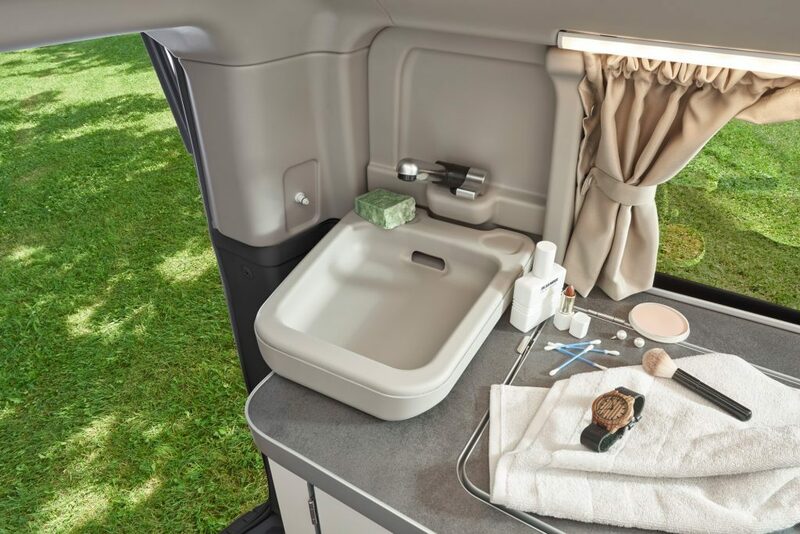 All Westfalia Nuggets are having the three-room concept with a generous l-shaped kitchen, spacious living area with a three-seater bench + table and a comfortable roof bed. With the elevating roof the Nugget transform into a normal car. 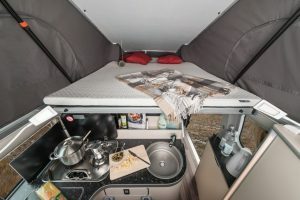 The roof still has the double bed. 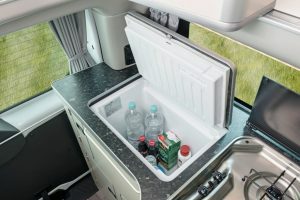 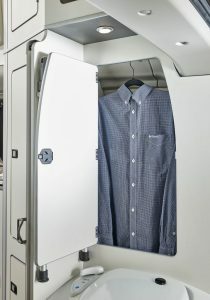 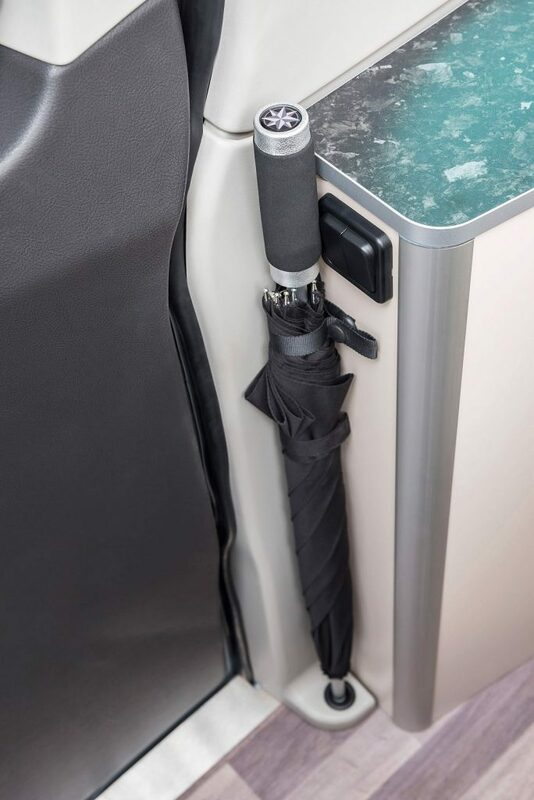 The Hightop provides more storage than the PopTop and of course also has more isolation. The Nugget Plus is based on the long wheel base Transit Custom. 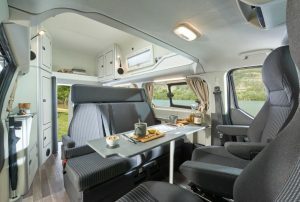 This provide more interior space. 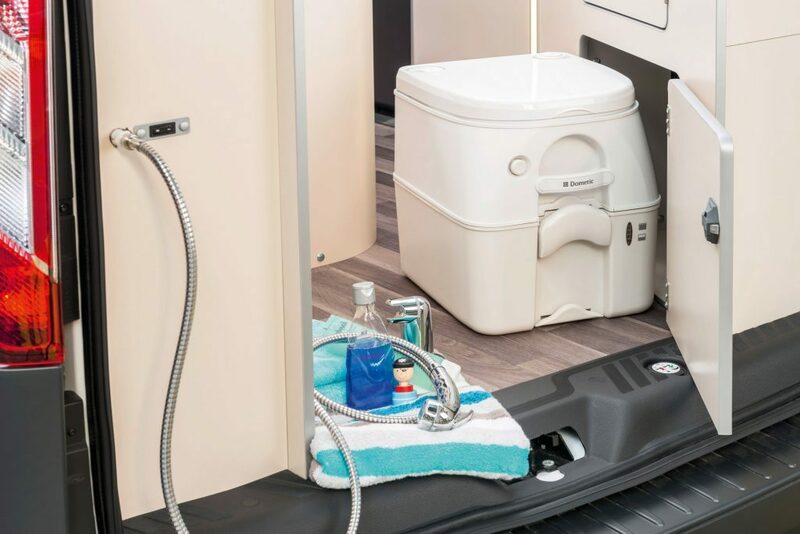 This space is used to provide a fixed toilet, extra sink and more storage.